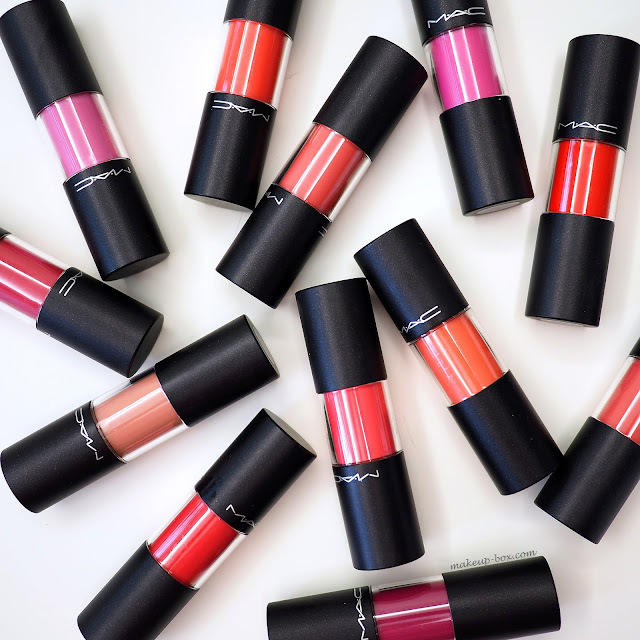 MAC will launch their new Versicolours in Singapore on 7 April at SG$43 each. 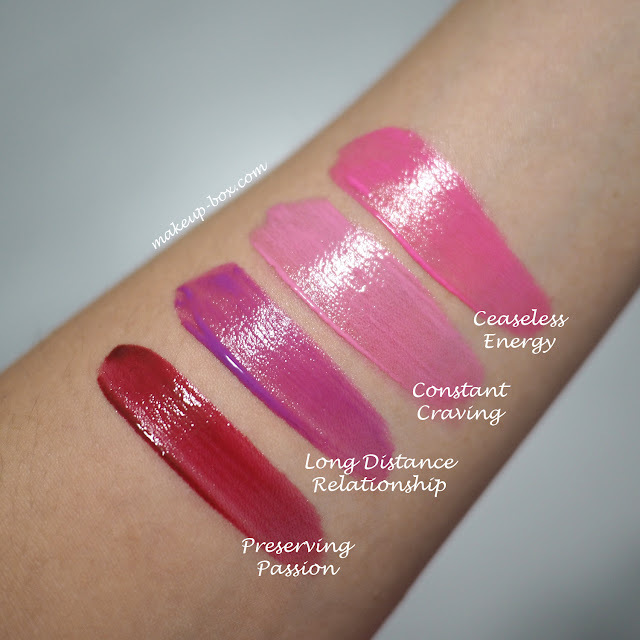 These hybrid gloss-stains are made with the same gel-oil technology present in products like YSL Glossy Stains and Dior Addict Addict Fluidsticks. 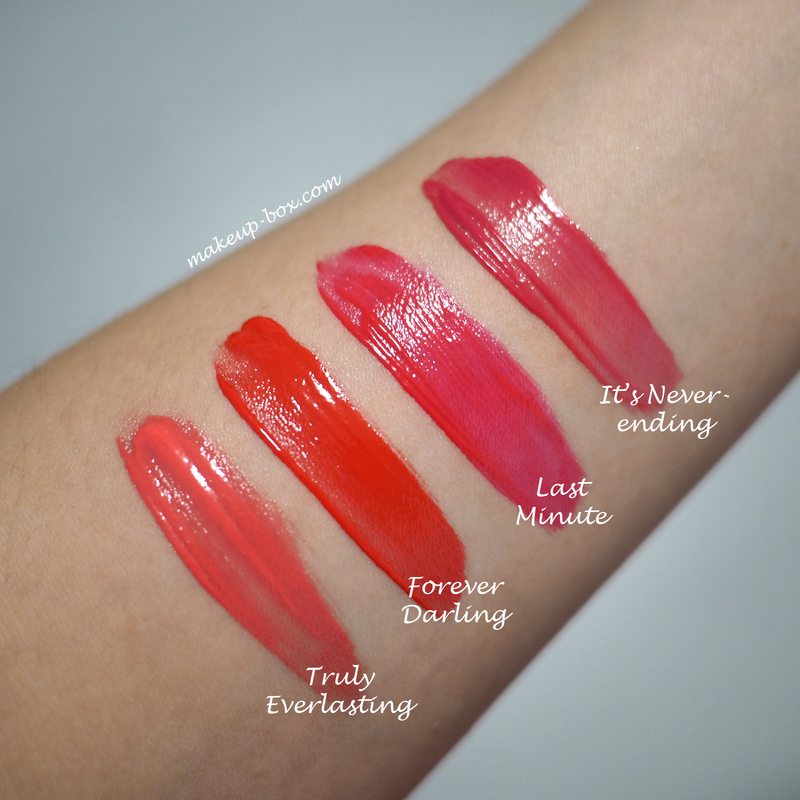 If you haven't tried these before, they go on like watery half-set pudding (it's really more pleasant than it sounds) and the volatile components in the formula evaporate, similar to matte liquid lipsticks. However, the product sets into a gel and retains its glossy shine. The product that looks like gloss but doesn't feel or smear off like gloss. The launch kinda begs the question: why now? After all, YSL launched Glossy Stains several years ago in 2011 or 2012, and a lot of other brands followed. Now, we have access to so many economical, accessible lines from Asian brands like Laneige, Innisfree, The Face Shop, etc that I struggle a bit to understand why MAC is bringing out their own line when it is so much later, and so much more pricey - than some of the options on the market. I do have to say they have some really nice shades. What you need to remember with many of these gloss stains is - they stain. (Duh.) This means you will ALWAYS end up with a much deeper and rosier shade than you see in the tube after 15-30 minutes of wear. The only line which I've tried that does not deepen over time is Dior's Fluidstick, so bear that in mind. I received 13 of 15 shades to swatch, and there was a mix-up in my baggy, so I had one repeat color. Apologize for only have 12 shades instead of 15 here for you to have a look at. Please note that the shades here have only had a few minutes to set, and are a touch deeper when worn on the lips for a longer time. I'm personally partial to Tattoo My Heart for a rosy lip look (it starts off soft but gets deeper), and Can't Stop Won't Stop. 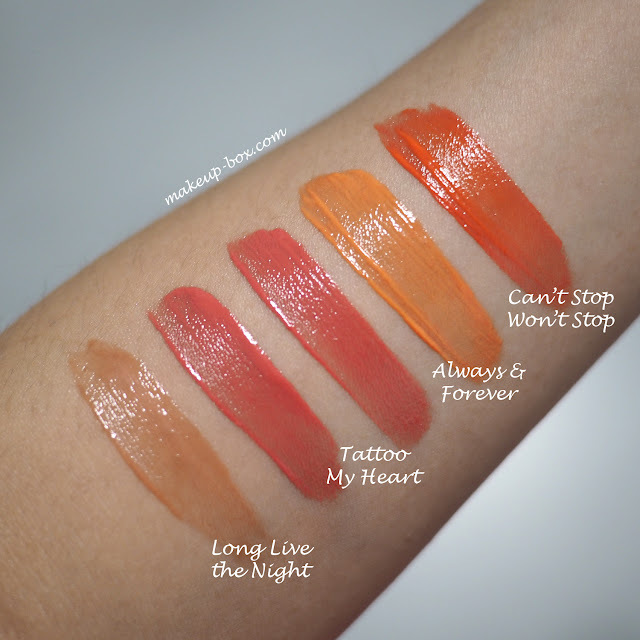 The good news is even if you like orange but think Always & Forever is a bit too yellow to pull off, give it a try and let it set on your lips for 15-20 mins before you pass it over. It will deepen up a bit and become more of a true orange. I like Preserving Passion and Long Distance just cos I think the lacquered juicy texture works well with rich, berry tones. Among these cooler toned shades. Constant Craving looks too pale and too scary in the tube but it does become more like Ceaseless Energy after the stain sets in, whereas Ceaseless Energy goes deeper, rosier and warmer. Below is Long Distance Relationship about 20 minutes in. It's deeper than the arm swatch above, but it will deepen up a bit further until you get something that looks more like Heroine lipstick. I wore no lip liner or base shade, and you can see the color does wear quite evenly if you know how to apply it. I mentioned above that it's nothing new, and this is also very expensive even by MAC standards. But if you see a color you like, I would still say check them out. 1. The shade range is great if you like funkier colors like violets, bright oranges, etc. Most brands either veer towards classic shades (YSL, Dior), or towards bright Asian-friendly pop tones (all the Korean brands). There are not that many lines with gloss stains in edgier, more unique colors. 2. 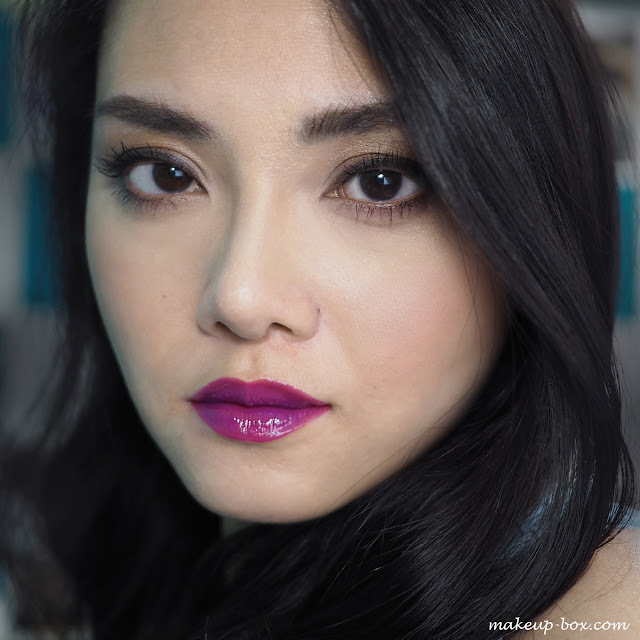 The formula is good; early-generation gel stains have a tendency to go on uneven and patchy, and then be hard to smooth out once they set a bit on the lips. With this one, I can apply, then lightly roll my lips together to even out the color distribution. The product doesn't gunk up or go patchy when you do that. It is also genuinely conditioning and quite comfortable to wear. 3. The lasting power is great. Stains do last a long time in general; be prepared to have stained lips for a day after use. But not all gel stains stay glossy and lacquer-like for hours and hours. Many will set and go a bit thin and not be as glossy. This formula stayed shiny and looked pretty fresh looking for a few hours through drinking. (Of course, it kisses off and gets less shiny and pigmented if you eat.) Which is great if you like the look of pigmented glosses but hate the sticky gloopy feel. Not a lot of hype remains for gloss stains in general, even though they do still tend to sell quite well across many brands. These are somewhere between Dior (ultra shiny and non-staining) and YSL (moderate shine and highly-staining) in performance. It's a bit thicker and more plush feeling than typical Asian formulas, which is nice. It's down to individual preference and whether you find a color that makes it worth the YSL-esque prices. Do you know how much product you get in the tube? Ounces? Hey sorry for missing your message! There's .28 oz in each tube.